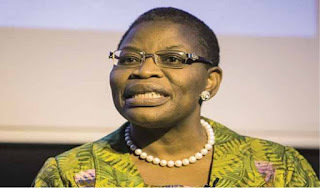 The Allied Congress Party of Nigeria (ACPN) has asked its former Presidential candidate for this year’s election and former Minister of Education, Mrs. Oby Ezekwesili, to return of all monies generated during her short stint with the party, or face court action. The National Chairman of the party, Alhaji Ganiyu Galadima, told newsmen on Thursday in Abuja that the former Minister thought that politics was like the ‘bring back our girls’ project which she coordinated, hence her unacceptable disposition to the party. According to him, the party is rejecting the statement of accounts and other documents she submitted to the party due to discrepancies in them. He said Mrs. Ezekwesili only invested N100,000 being the money she paid for her expression of interest form instead of N500,000 which she was supposed to pay, but started sourcing for funds for her presidential campaign even before she joined the party and given the ticket. “We are rejecting everything she submitted in entirety; we wanted to know all the content of the accounts and see the accounts because at the end of the day it is not the presidential candidate that INEC will hold responsible according to the law but the party, and whatever any candidate generated for his or her campaign belong to the party. “We are expecting that she will respond at the appropriate time. But if she doesn’t, we may be compelled to go to court to seek for order of Mandamus,” Galadima said. 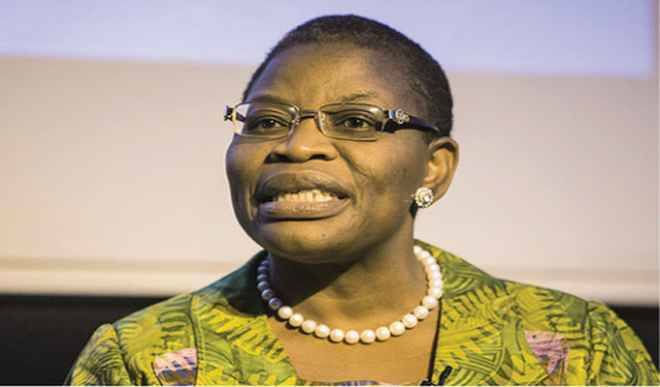 He said that it was later realized that Mrs. Ezekwesili lacked the capacity to contest a presidential election, as she did not produced even ordinary lapel that the presidential candidate wore on her chest and distributed to members, as this was paid for by the national secretary of the party. He said, “For somebody who wants to contest for presidency, all you could generate for period of three months was just N43million and spent everything by herself. “She could not even disclose to the party the sources of the fund and how much she was able to generate. We wanted to know the full details of all the accounts she opened because when you look at the statement she made available there are four difference accounts which we didn’t know anything about. “Look at the Omoyele Sowore, he publicly disclosed on a national TV recently that his campaign has been able to generate about N99 million for the party. “In addition, he has also told the world how this money could be traced. So why is there no transparency in Madam Ezekwesili’s project? That is the bone of contention.